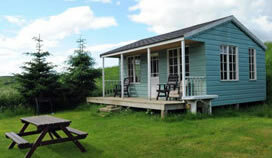 For the perfect fishing holiday in Scotland, Marnoch Lodge will provide everything you need. 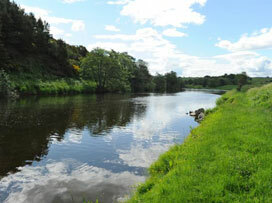 The River Deveron provides two and a quarter miles of perfect fishing conditions. Fantastic Salmon, with excellent Sea trout and trout fishing. Flyfishing mainly, but also spinning and worming if conditions permit. Fishing on two beats on a rotational basis, five rods. Pools can be fished from the bank or wading. All banks have easy access and are clear. A new comfortable fishing hut overlooks the perfect flyfishing pool of Falconers and a further hut overlooks Middle Hummies. Ghillie Services are available: speycasting tuition, casting etc. 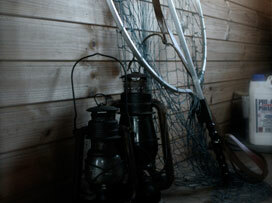 Rods are let with the cottage. Daily and weekly rods may sometimes be available. Excellent walking, cycling, golf and tennis facilities all very nearby. Wintersports are available at the Lecht and Cairngorms for an excellent fun day out.